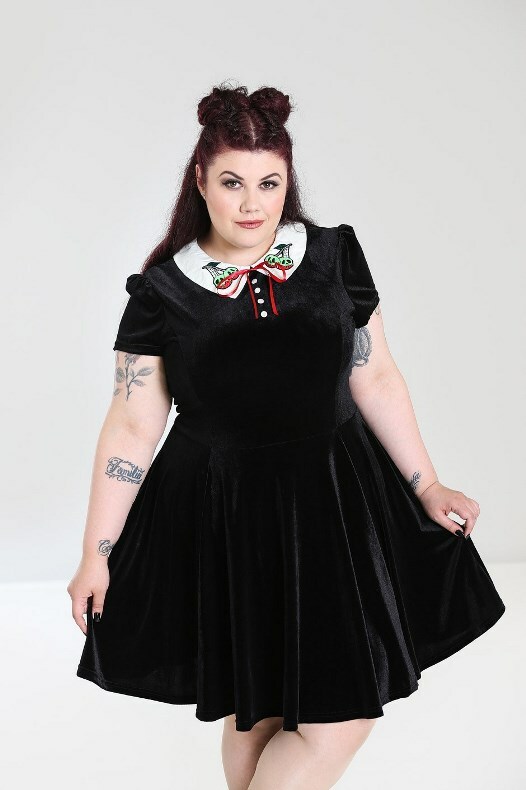 Hell Bunny Plus Size Gothic Wednesday Addams Nightshade Poison Cherry Skull Mini Dress [HB4825] - $78.99 : Mystic Crypt, the most unique, hard to find items at ghoulishly great prices! 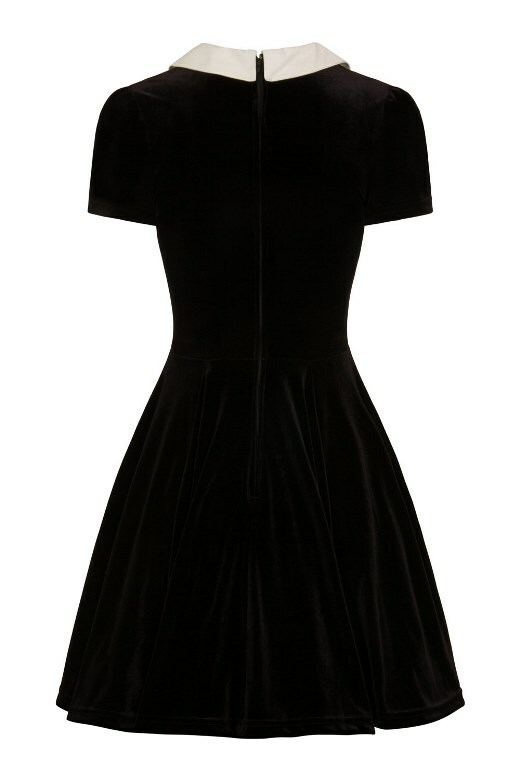 Black Velvet Mini dress with white embroidered collar. 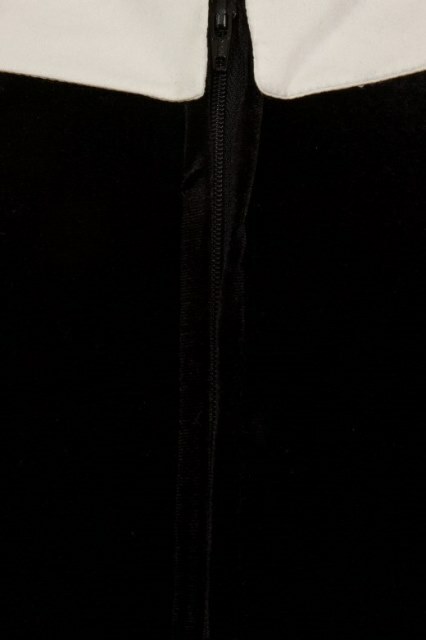 Posion cherry skull nightshade embroidery in black on the collar. Cap sleeves in self fabric. Gathering at the sleeve head. Red ribbon tie at the front. 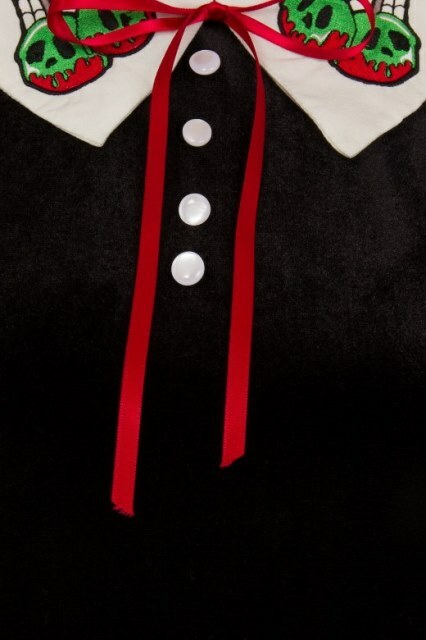 4 small buttons on the center front. Seams across the bust for shaping. 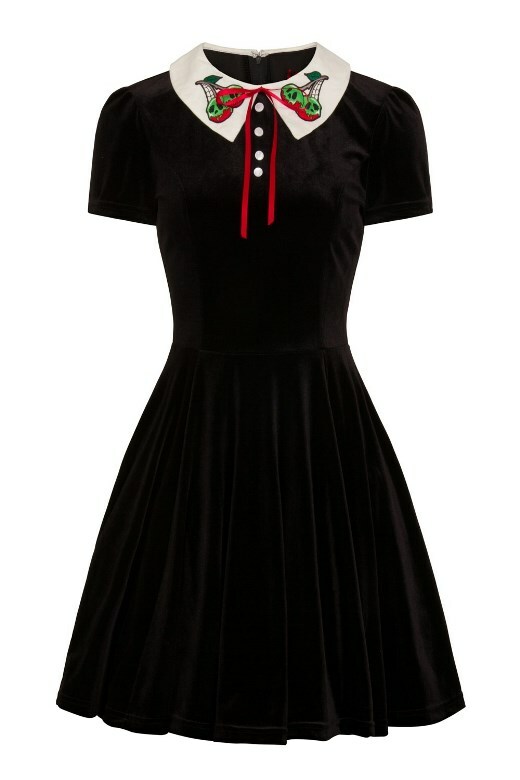 Fabric content: 95% Polyester 5% Elastane, Collar – 100% Polyester. Wash Separately, Hand Wash Cold Only! Length (Shoulder, Down) 37 1/2 inches to 38 1/2 inches (2X-4X). 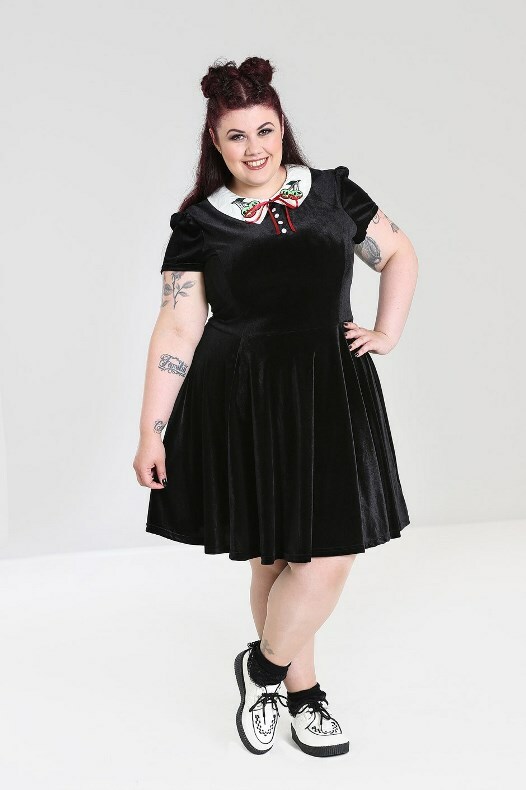 This dress is really comfortable and stretchy, measurements posted below are very accurate.